Our adult programming is sponsored by the Friends of the Dracut Public Library. Click here to go to our calendar and register for an event. The program opens with the elderly Whitman on the evening of his seventieth birthday. He remembers a mystical experience he had in his thirty-seventh year that inspired him to write poetry. The first part of the performance explores Whitman's preoccupation with the self and his resolve to write with "free and brave thought..." We revel with him as he celebrates his body and himself and are confidants as he shares his struggle with his sexual self. In the second part of the performance, Whitman's life is changed forever by the occurrence of the Civil War. It is here that he finds "... the most important work of my life..." nursing the wounded soldiers in the hospitals. Through poetry and readings of actual letters, we experience Whitman's movement from selfishness and selflessness and his growth into a mature artist who is at peace. 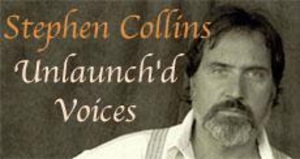 Stephen Collins grew up in Cambridge, and received a BA in Literature from UMass Boston. Recently he has been teaching seminars on Whitman, Hardy, Shakespeare, Frost, and Contemporary Poetry at various locations throughout the country. Join poets Rich Murphy, Steve Welch & Sam Mesiti for an afternoon of poetry. The Body Politic by Rich Murphy is the winner of the 2013 Prize Americana from the American Popular Culture Association. Rich writes poetry that is "intelligent, critical, incisive and satirical. His poems examine - with unflinching honesty - not only what it means to be human but also what it means to be an American." Rich has taught poetry and writing at several colleges and universities in the U.S. He currently resides in Marblehead, MA. Sam Mesiti grew up in North Andover, Massachusetts and attended Bradford College, Bradford, MA. He has been a student of poetry for several years and also fortunate enough to both learn and participate in this creative writing process with Rich Murphy. Some of the writers he follows include A.R. Ammons, Charles Simic, Rita Dove and James Tate. He has authored a chapterbook of poetry entitled Backbones and Millstones and his work has appeared in Harbinger Asylum. Steve Welch grew up in Haverhill and is a freelance writer and editor. 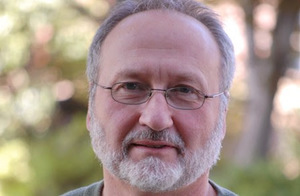 He has published stories and essays in various journals, including Denver Magazine, Bloomsbury Review, and Anthropophagy. Steve has also taught fiction writing at several colleges and universities in the U.S.
As spring explodes all around us, join author and poet Jeffrey Zygmont for a fun and friendly talk about the role nature plays in artistic inspiration. 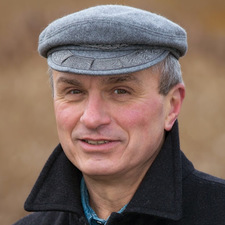 Jeff is the author of numerous books, including the poetry collections White Mountain Poems and More White Mountain Poems, which celebrate and explore the natural wonder of New England's high peaks. As a poet, Jeff is known for vibrantly expressive and descriptive writing that appeals to a general audience. His talk will use poems to illustrate the ways that nature contributes to the creative process. His chatty and informal presentation aims to give you new insight and a greater appreciation for the natural beauty surrounding us, and show you how artwork can enhance your enjoyment of it. The talk is suitable for all ages, and everyone is invited to attend. Kate Clifford Larson was the 2016 recipient of the Mass Book Award for non-fiction for her book, Rosemary: the Hidden Kennedy Daughter. This work reveals the central role intellectual disabilities and mental health issues played in the tragic life of the Kennedy's eldest daughter, and how Rosemary's legacy lives on in our nation's efforts to accommodate differently-abled people. In Rosemary, Larson reveals how Joe and Rose Kennedy's strikingly beautiful eldest daughter attended exclusive schools, was presented as a debutante to the queen and king of England, and traveled the world with her high-spirited sisters. Yet Rosemary was intellectually disabled, a secret fiercely guarded by her powerful and glamorous family. Major new sources – Rose Kennedy's diaries and correspondence, letters from Rosemary's teachers and doctors, and exclusive family interviews – bring Rosemary alive as a girl adored but left far behind by her competitive siblings. Kate Larson reveals both the sensitive care Rose and Joe gave to Rosemary, and then – as the family's standing reached an apex – the often desperate and duplicitous arrangements the Kennedys made to keep her away from home, as she became increasingly difficult in her early twenties. It was an experimental lobotomy gone terribly wrong that ultimately inspired her siblings to direct attention to the plight of the disabled, transforming the lives of millions. 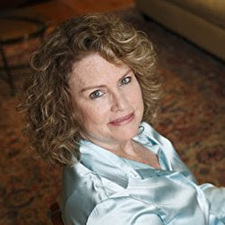 Kate Clifford Larson is the author of two other critically acclaimed biographies: Bound for the Promised Land: Harriet Tubman, Portrait of an American Hero (2004), now in production at HBO for an original movie; and The Assassin's Accomplice: Mary Surratt and the Plot to Kill Abraham Lincoln (2008). Join us for this event, followed by a period of Q&A. Ms. Larson will sign books following the program. Copies of Ms. Larson's book will be available for purchase. Join Denise Gilbert, certified Reiki Master and teacher, for a talk and demonstration. Learn the many benefits of the gentle, safe technique called reiki (pronounced ray-key), which is practiced at most major hospitals in Boston. You will learn exactly what reiki is and see a demonstration, followed by a period of questions and answers. 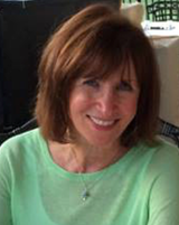 Denise Gilbert has a private practice at Be Well ,and beyond, Inc. in Acton, and is a provider at Emerson Hospital in Concord. 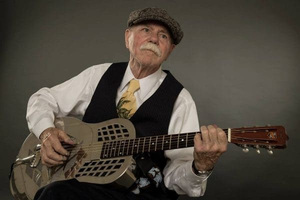 New Hampshire Blues Challenge winner, "Poor Howard" Stilth has been performing 12-string barrel house blues for over forty years. He has performed across the U.S., Europe, and Japan. His expertise on the 12-string guitar, his knowledge of early blues, and his warm sense of humor, have won him fans wherever he travels. "A Walk through the Delta" is both educational and entertaining, mixing music and folk humor, and showing how this distinctly music has gained international popularity.